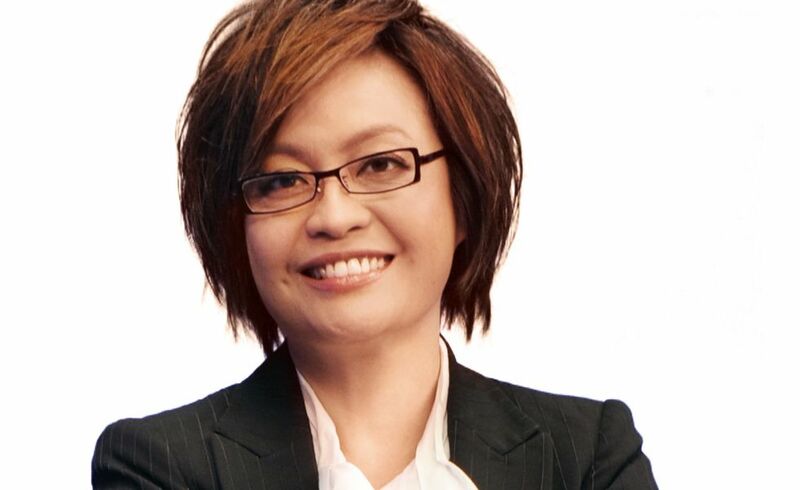 Kitty Lun, Chairman and CEO at Lowe China, is one of the most awarded and respected advertising professionals in Greater China. She chaired and judged at award shows in China, Singapore, Indonesia, Korea, New York, Russia & Canada, and was ranked as one of the Top 10 Distinguished Advertising Women of the Year twice (in 2005 and in 2010). During the Executive MBA’s Asia Module in Shanghai, Kitty came to talk about changing consumer markets and the growing evolution of advertising in China. 1. As one of the most awarded and respected advertising professionals in Greater China – what would you say are the key challenges for creative agencies operating in China and globally? This is the question that has been bothering me and many other creative agency leaders in recent years. The communication landscape is undergoing an irreversible change. Delivery channel expansion is becoming out of control. In fact, every aspect of communication has gone through revolutionary changes. So for a creative agency practitioner, the only survival trick is to be able to change. Learning new things everyday while not allowing it to overwhelm you is the biggest challenge. Learning to be the strategist, the channel planner, the content creator and deciding on how to present the big idea in unfamiliar channels are big challenges. Learning to be the curator of your own stories is another big challenge. Be open to any new idea, from any one, for anything is a big challenge. 2. From your perspective, what is the biggest obstacle to the successful evolution of advertising in China? The world is evolving at tremendous speed around us. Consumers are. Clients are. Media vehicles are. If we do not evolve and change our own way of thinking and doing things, the rest of the world will not wait for us. 3. You are closely involved with the academic community in training the next generation of advertising professionals. How does it feel being seen as a role model for Asian women and creatives alike? I feel lucky being in Asia and in China. Due to the scarcity of talents, the industry is hungry for professionals who are good, regardless of gender. We are really given equal opportunity. Who is accountable for your success? Yourself, and no one else. If you are not giving your best, you cannot blame others for not giving you the opportunity. I feel blessed to be in a young market when the rules are not written nor hidden. I am able to participating in writing the rules for the future. And it is equally bright for male and female, in every discipline, in every kind of organization. 4. What are the most crucial factors you see today in fostering talent for the future of advertising? Open-mindedness. Be able to learn anything new and accept the unknown. Fearlessness. Not being afraid of new things and be able to embrace them. Story-telling ability. In a world when technology is a new religion, and people rush to focus on data, channel and delivery effectiveness, we should not forget the most fundamental way to motivate and influence people. The ability to tell a compelling story to elicit a desired response is always at the core of our ability. It has been, and will be the most crucial factor for success in communication. 5. How have consumer markets changed over the last three decades in China? In your estimation, have people changed in that time, as well? It’s not just the consumer market but every aspect of the society in China that changed. It was a quantum leap over the last three decades when China changed from a communist society to market economy. Its meritocracy and opportunity is open to everyone. So affluence follows. Hence consumption. Even within the 30 years, Chinese consumers have gone through several major transformations. First it was the quantum leap from nothing to the best. For example, China went from no telephone to mobile phone (no fixed line in between), from no TV to colour TV (no black and white TV), etc. Then the benefit of consumption went from the select few to the privileged mass, due to availability. Democratization of technology, like the smart phone or the internet, drives the country to become the world’s biggest online market. Popularity of social media, online sharing, online shopping, online payment, online banking, online booking of taxis, travel…. anything. Some great characteristics of the Chinese consumer market are that it is very easy for the mass to embrace – embrace technology, embrace new forms of socializing, new forms of receiving and disseminating information, new behaviors in daily life, etc. It makes living and communicating to the Chinese consumers a delightful experience.